Demand for residential as well as commercial units has been on the rise to accommodate the ever-increasing population of the country. But with the lack of availability of land in prime areas, creating new housing facilities is a challenge. This is where the allure, and in fact necessity, of redevelopment comes in. There are thousands of existing housing societies across the country facing the grim reality of their dilapidating structures. These structures are ideal for developers who are moving into redevelopment. Redevelopment is a fairly win-win situation as the owners of the old buildings too profit by receiving a new flat, larger area, and additional money. Let us take a more detailed look into housing redevelopment. What is redevelopment and why is it required? Housing redevelopment is a process in which residential premises are reconstructed by demolishing the existing structure and constructing a new one in its place, in accordance with the approvals from the respective authority. The process works best when the housing society has reached the end of its construction lifespan, in a way that it can no longer sustain repairs, and where there is scope to increase the floor area ratio (FAR) or floor space index (FSI) such that the developer earns its profit through selling the extra FSI . Such redevelopment projects can also help in checking housing prices by building in prime areas with minimum initial investment. As for the home owners in that society, they receive new flats, of an area equal to or more than their existing flats, in the reconstructed building as per the agreement between the developer and the society in question. The only caveat being that at least 75 percent of the members of the society have to give their consent, and only in case of a Cooperative Housing Society. A majority of these projects involve buildings that were constructed in the 70s and pre-70s since they are usually in a deteriorating condition, which give rise to safety concerns for its residents. These buildings have become so weak structurally that any repairs would last only three to four years, and are thus not recommended. So what are the advantages of redevelopment and who benefits from them? Redevelopment offers residents a new home with more space as well as monetary benefits without them having to shell out their own money. They often are also offered facilities such as high-end security systems, car park, and gymnasium. In Goa, for example, FAR is 250 by default and is thus an advantage to the resident as they will get that much more area. With proposed redevelopments, supply is increased and can help keep the rise in rates in check, thus leading to a significant decrease in housing prices. Redevelopment can help solve the problem of housing shortage in prime areas as dilapidated buildings are reconstructed with additional flats. It can also aid in accessing prime markets without significant upfront investment. Compared to repairs, redevelopment is more sustainable. Repairing any building that is 25 years old will increase its life only by three or four years. It is not structurally or economically feasible. Are there any risks to redevelopment? A builder’s reputation is one of the key factors to be considered in redevelopment. Depending on their previous works, one can predict the outcome of their redevelopment projects too. There have been cases of homeowners suing builders due to poor construction quality or missed deadlines. Under the rules of the Development Control Rules, a building can be declared dilapidated if it is more than 25 years old and can thus go for redevelopment. Some builders can take advantage of this by getting a building declared dilapidated even if it is not. One of the concerns for residents is that they have to find an alternative place to stay during the entire redevelopment process, which takes a minimum of 18 to 24 months to complete. It is crucial that society members appoint a lawyer before signing any contracts with the builder. This not only guarantees that the legal facets of the transaction are understood by everyone concerned but also helps in avoiding any bitterness about corruption within the management committee of the society. The most effective way of ensuring that the builder is reliable, trustworthy, and transparent is by choosing a builder through a tendering system. The society should consider creating a comparative chart of builders that would include their reputation, experience, technical capability, quality of construction, financial status, and successful completion of projects to better gauge each builder’s credibility. The agreement should clearly specify the obligations and expectations of the builder and the society members as well as the penalty in case of breach of the contract by either parties involved. This would ensure that, for example, if the builder fails to provide the agreed-upon carpet area, the owner can claim compensation by filing a complaint under the counts of Breach of Trust, Cheating, Unfair Trade Practice and Deficiency in Service. The builder must provide a bank guarantee that is equivalent to 20 percent of the total cost of the project. This will act as monetary compensation in assurance that the project is not delayed or stopped midway. The agreement must mention when the project will be completed and the size of new houses. It should also include the nature of monetary compensation, which should be mutually agreed upon and equivalent to the rental rate in the vicinity, and whether it will be reimbursement of rent or a one-time payment. The builder is required to provide a monthly compensation in advance as well as transportation and brokerage charges to the residents as they would incur these costs when securing and renting alternate accommodation. All members are required to consent and vacate their houses in accordance with the resolution passed in the general body meeting. In case of refusal by any member, the builder or society may move the competent court. 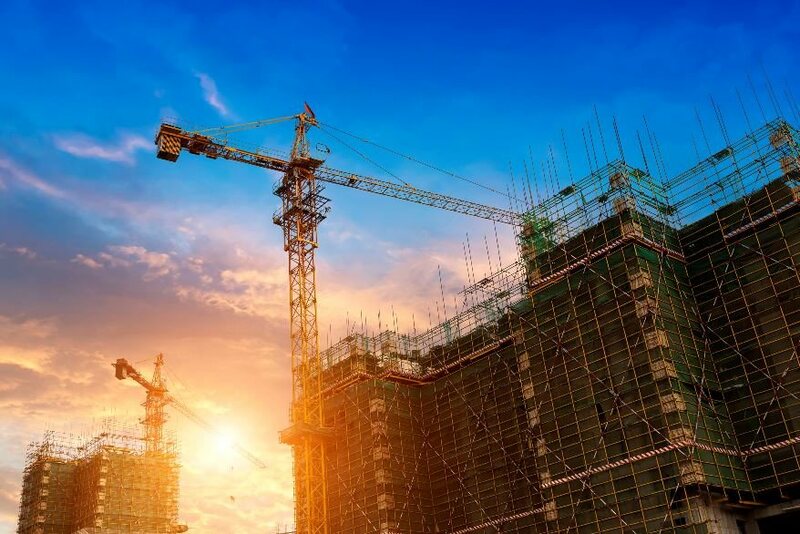 Apart from existing residents of a building, such redevelopment projects benefit new buyers as well since they are able to buy apartments in prime areas. That being said, developers’ profit depends heavily on the price at which they sell to the new buyer, so it may not be the best bargain for the new buyers. Despite some of the pitfalls of redevelopment projects, it remains a lucrative field that is attracting many big real estate developers. “Redevelopment will be a big part of our overall strategy in Goa going forward.” — Tridentia.